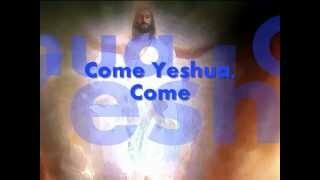 Video copyright Youtube User ID bobf72450.Come Yeshua, as I have called it, is from unknown origin. Please help me find the artist and source of this beautiful song. 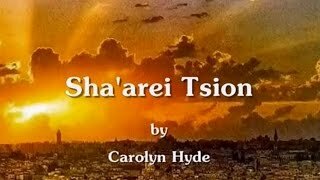 Video copyright Youtube User ID bobf72450.Sha'arei Tsion sung by Carolyn Hyde and family from the album, Deep Calls To Deep. This song relates to the gates of the city of Jerusalem and the significance YHVH has placed upon them. Video copyright Youtube User ID bobf72450.Shout For Joy performed by Be'er Sheva from the album, Highway In The Desert. Video copyright Youtube User ID bobf72450.Days Of Elijah sung by Paul Wilbur from the album, A Night Of Extravagant Worship.This song looks toward the day of the return of our Savior and King, Yeshua HaMashiach. Video copyright Youtube User ID bobf72450.Let Your Fire Fall sung by Paul Wilbur from the album, Holy Fire. This song speaks of the Holy Spirit falling on those at Shavuot or Pentecost. Yeshua sung by Zemer Levav of zemerlevav.org. Video copyright Youtube User ID bobf72450. Music available at zemerlevav.org from the album "Even There". This song was written and sung by Kerah Hanes. Lyrics from Psalm 3. 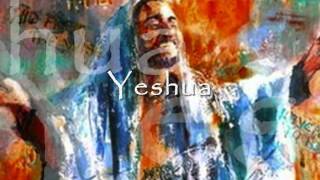 Video copyright Youtube User ID bobf72450.Yeshua Yeshua sung by Karen Davis of Kehilat Carmel near Haifa Israel. Video copyright Youtube User ID bobf72450.Zealous Over Zion sung by Ted Pearce from the album, Zealous Over Zion. A video by Youtube User bobf72450.The Lord Is Building Jerusalem sung by Randy Rothwell from the album, Mighty Warrior.